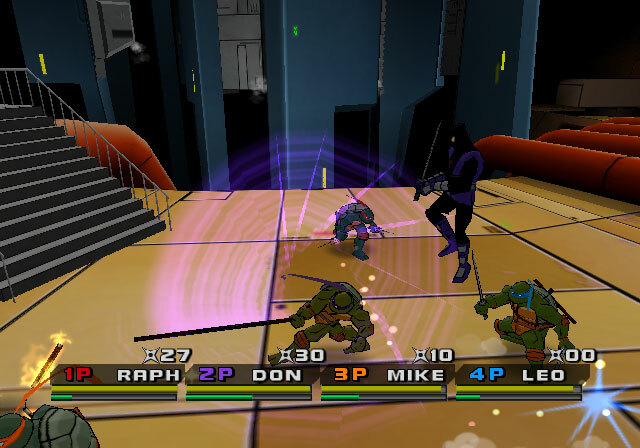 Today Teenage Mutant Ninja TurtlesÂ®3: Mutant Nightmare ships to video game retailers nationwide for the PlayStation 2, Xbox, GameCube, and Nintendo DS. And to send the turtles out right, we've uploaded a batch of new screens to the site below for everyone to use in announcing the arrival of the turtles to retail. Retro gaming fans are truly in for a treat as the classic TMNT game "Turtles In Time" is included in Mutant Nightmare as an unlockable item. Either way you slice it, everyone's going to have a great time with our green ninjas!